Oil prices have climbed 52% since hitting a 10-year low in January 2016, and prices are going to continue to rise in 2017. To help investors profit as oil prices rise, we've got the best oil stocks to buy this year. You see, the oil stocks we've picked are perfectly positioned to profit from rising oil prices. And their gains will far exceed the gains of oil in 2017. Oil prices hit a 10-year low of $35.79 per barrel in January 2016. Since then, WTI crude oil prices have climbed to a current price of nearly $53.92 a barrel. Money Morning Global Energy Strategist Dr. Kent Moors believes oil prices could rise by another 20% by Q2 2017. The easiest way to profit from rising oil prices is by buying the best oil stocks. Trading oil futures can be difficult as futures can swing dramatically on current events. But the top crude oil stocks are going to gain consistently, and they will pay a dividend, too. Rising oil prices and less regulation will be great news for our top oil stocks in 2017. On Nov. 30, OPEC came to an agreement with 11 other countries to reduce oil production. By limiting the supply of oil, prices will rise as demand stays the same. OPEC's plan calls for reductions of 32.5 million barrels per day in 2017. That's why crude oil prices have gone up 16% since the Nov. 30 announcement. Provided the OPEC deal holds together, Moors sees potential for oil prices to rise above $60 a barrel by the middle of 2017. Since the OPEC deal is new for 2017, we should see even better performance with oil prices than we did in 2016. And while OPEC is limiting the supply of oil, demand is continuing to rise. Energy is always in demand, but the EIA predicts the world's demand for energy is going to rise 25% by 2040. Much of this boost in demand will come from growing populations in India and China. 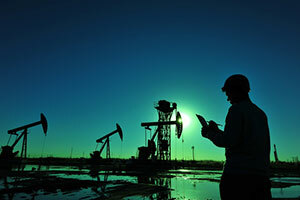 Even as energy demand rises, oil will remain the dominant source for meeting demands. Exxon Mobil Corp.'s (NYSE: XOM) latest "Energy Outlook" report forecasts that oil will remain the primary energy source through this surge in demand as we head towards 2040. While oil prices are rising, the new U.S. president is planning to make it easier than ever for oil companies to produce and sell their oil. And that's great news for American oil company stocks. Trump has indicated he plans to reduce restrictions on U.S. oil exploration and drilling. His picks for key cabinet positions affirm these strategies. In fact, one of his first executive orders was to facilitate the approval of the Keystone XL and Dakota Access oil pipelines. And while Trump has only been in office for a week, his cabinet nominations signal a favorable climate for oil production. Trump's pick to run the EPA is Oklahoma Attorney General Scott Pruitt. As attorney general, Pruitt sued the EPA over regulations that stifled the oil and gas companies in his home state. President Trump also nominated former Exxon CEO Rex Tillerson for secretary of state. While the secretary of state doesn't control domestic laws, it adds a favorable voice for oil to one of the top positions in the government. Like one that grew 131% in 2016 and has analysts projecting up to 60% more growth in 2017. Or another one with a projected revenue increase of 85% in 2017. And income investors might like a stock that increases its dividend four times a year.